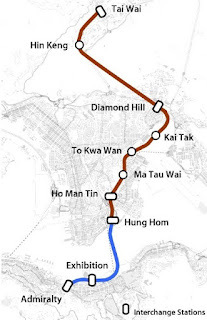 An ambitious transportation project for the MTR is the Sha Tin to Central link. It promised to get commuters between the two destinations within 30 minutes. When the project was announced, housing prices in Sha Tin immediately went up. 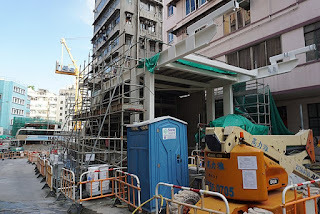 However, it has now been revealed the MTR hasn't been watching its contractor, Leighton Contractors (Asia) carefully because the builder hasn't been following the plans property and then shoddily fixing them, making everyone wary of even wanting to use this transport link when it's finished. Who will trust the safety of this line? It's not a cheap infrastructure project at HK$97 billion, and yet it seems like corners were cut. Leaked photographs showed workers cutting steel bars so that it looked like they were screwed correctly into platform couplers. It was reported last month there were five instances between August and December 2015 where more than 25 steel bars were cut short. They were unable to screw them in properly because of shoddy construction work and also some areas were filled with concrete making it impossible to screw in the steel bars properly. A sub-contractor, Fang Sheung refused to cut the steel bars so Leighton apparently hired workers to do this job. Lawmaker and rail expert Michael Tien Puk-sun called on the government to dismantle the five concrete panels on the platform and check the steel bars, even though the MTR claimed the problem had already been fixed. "I suspect the platform is still riddled with faulty steel bars. The best way is to remove a portion of the concrete at the platform for sample inspection. If some steel bars are still found to be faulty, I demand the government remove the remaining 27 panels and conduct checks on the remaining steel bars," he said. He added that under law the MTR must conduct checks on 20 percent of the couplers, or 5,200 in this project. "If the MTR really did inspect all 5,200 couplers, its staff needed to sign papers to certify it. It needs to deliver proof that it fulfilled its job in its report," he said. The report was not handed in on time last Friday and instead this past Tuesday, and the government even defended the MTR, saying it was because Monday was a public holiday. Excuse me? This is the lamest excuse on something so serious that it affects millions of passengers' safety everyday. Surely one would want to make sure there was nothing wrong with the steel bars. And then it was found there was a problem with a wall at the To Kwa Wan station. A wall on the platform station was found to have its reinforcement bars removed and "shaved thin". Apparently this was done because when it was being constructed, workers deviated from the original design. While the MTR admitted the wall had deviated from the design, the company claimed there were no "safety risks". 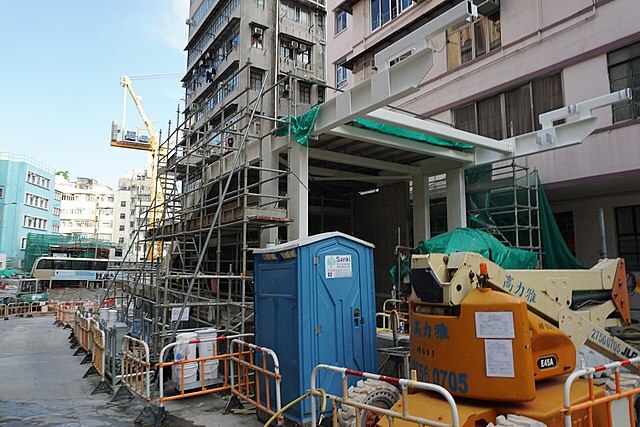 For now construction has stopped at the convention centre station in Wan Chai which is being excavated. Tien believes there was more shoddy work there, which is why work has been suspended. 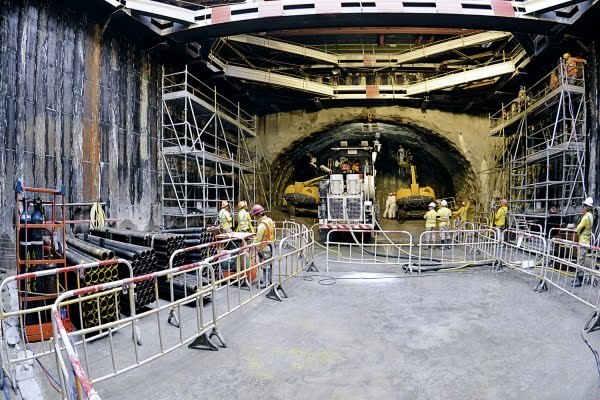 It's shocking that the MTR is not closely watching its contractor doing work -- it's just like any renovation job -- you need to monitor workers carefully to see if they're doing the job to your specifications. In this case the contractors are not, and they even tried to cover it up. This is not a door that was installed the wrong way or the wrong paint was used on the walls. This is about serious errors that could affect the safety of millions of passengers everyday. Surely that's enough to warrant stopping the project and seeing what's going on? But also the MTR is not looking out for our best interests -- the MTR is government owned so we taxpayers have a stake -- and instead it doesn't seem to care about safety at all. We understand the desire to rush the project along, but this is about safety. Now no one wants to take this train at all. They have lost faith in the project and the MTR. However we don't have any other viable means of transport to compete with the MTR so we're stuck with it, but that doesn't give it an excuse to have contractors that are doing shoddy work.